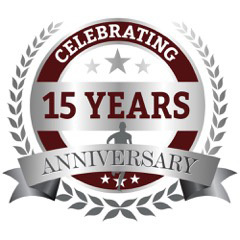 Price Chiropractic & Fitness has been in business for over 10 years. In those years many companies have approached the doctors about different products for weight loss. Dr. Tara was first interested in Isagenix after tasting the products. The products are delicious and they offer a source of grade 7 Whey Protein. The products are gluten-free, organic and do not contain any artificial sweeteners or fillers. After losing 7 lbs on the 30 day cleanse, Dr. Tara encouraged Dr. Jason Price to give it a try. He lost 9 lbs! Isagenix was then offered to the staff at PRICE and we had great results! We now offer these amazing products at our facility. Dr. Tara Price is an Isagenix Consultant and is happy to meet with you to discuss your goals. 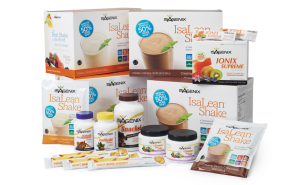 Whether it is to increase energy, improve sleep, lose unwanted pounds or increase performance there is an Isagenix system for you. Our most popular cleanse is the 30 day. Average weight loss is 7-9 lbs of fat. The 30 day cleanse is broken down into 6 shake days and 1 cleanse day a week. Shake days involve replacing 2 meals with the Isalean Shake, 2 healthy snacks and a 400-600 calorie meal. Cleanse days are a day to give the gut a rest. There is research showing the effectiveness of adding a fasting day to weight loss programs. The cleanse day involves drinking a delicious berry mix 4 times a day and light snacking. Dr. Tara has been coaching clients through cleanses since September 2012. She is a great source of support while going through this amazing lifestyle change. Dr. Tara will meet with clients before the cleanse to take measurements/weigh in and go through the program thoroughly. She will provide her personal email so she can be contacted at any point during the cleanse. Clients will weigh in again on Day 10 and Day 30. On the last day of the cleanse she will review results and a maintenance program to make sure clients stay on track. Most people want to know what happens after the cleanse? Clients love the way they feel starting their day with the Isalean shake. Most people choose to stay on a shake a day. The shakes and bars are great and super convenient. Cheaper then stopping into the local fast food joint for a snack or lunch. Once you’ve cleansed your body you will feel the difference when processed foods are put in the body. Most people choose to fuel with healthier food choices 80:20 rule. Cleanse days are great to do once or twice a month! (especially the Tuesday after Thanksgiving!). No two people are the same and Isagenix recognizes that. The systems are flexible and there is a system for everyone based on their health goals. 1. visit our office and try our shakes/bars. These items can be purchased at the front desk.